If you care about yourself and your family you should think about this subject and do something to prevent inevitable consequences. This is food which is offered by fast food restaurants. French fries, hotdogs, sandwiches, burgers, pizza, shawarma etc. Instant food. Everything what is prepared with the hot water like instant noodles, potatoes, soups, porridge etc. Small snacks like chips, pop-corn, baked breads etc. When I lived in Russia the problem of fast food was not acute for me. I used to take care of what I eat and I knew since childhood that a sandwich like a burger is the worst choice. Having moved to UAE I was surprised by the fact that fast food is extremely popular here. It is always available and loved by adults and children. There is an incredible number of fast food joints and moreover one can find such kind of food in restaurants which do not specialize on fast food. And so many people are absolutely careless to what they eat. I am bewildered when I see an incredible number of people in the food courts in malls enjoying their “oily sandwiches-monsters” or having a snack with chips or pop-corn. 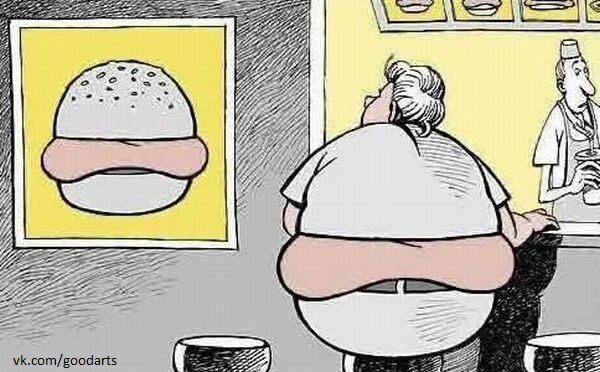 All the time I ask myself about the reason which makes people eat junk or fast food. Is it irresponsibility or lack of knowledge of the subject? I see a lot of Muslims enjoy sandwiches, burgers, French fries, pizza, soft drinks etc. But they do not think that this is not allowed food at all. Absence of pork or alchohol does not mean that such kind of food is allowed for Muslims. The fact that fast food is the shortest way to obesity, diabetes, heart problems etc. speaks for itself. Such diseases shorten your life so we can say that eating such food is a form of killing yourself! In another ayat it is said, “...he (the Prophet) commands them what is just, and forbids them what is evil; he allows them as lawful what is good, and prohibits them from what is bad..." (Qur'an 7:157). From this ayat it follows that everything evil and unwholesome is forbidden for Muslims. And since fast food is unwholesome we can say that it is forbiden to eat it. If you care about yourself and your family for sure you know that fast food has an extremely harmful effect on human health. There are no vitamins, no mineral nutrients, no useful proteins, and no “good” high carbonates. Moreover some of additives cause addiction, that is why you like such food so much and you return to enjoy it again. And I don’t want to say a word about GMO here because this theme deserves a separate article. But what fast food is rich in is a tremendous number of calories, sat fats, preservatives, carcinogens, colorants! Fast food is the reason of obesity, digestion problems, mental impairment, disbolism. Among dreadful consequences there also can be Type 2 diabetes, a fatty liver, heart ailments, cancer. Why do you need all this? Is this kind of food so tasty that you agree to destroy your health as a price? Such statistics speaks for itself. The main reason of these numbers is unhealthy diet, especially uncontrolled eating of fast food. There is no doubt that smoking or drug addiction leads your health to destruction this is the reason why it is prohibited by world religions. 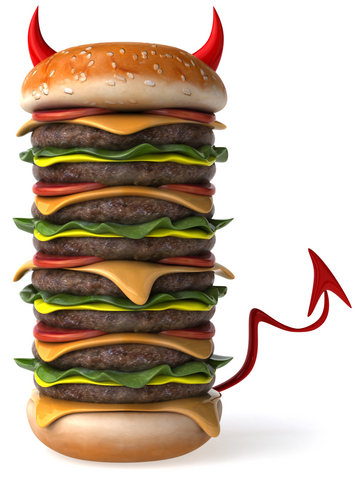 Fast food destructs your body as well as smoking, drugs or alchohol. 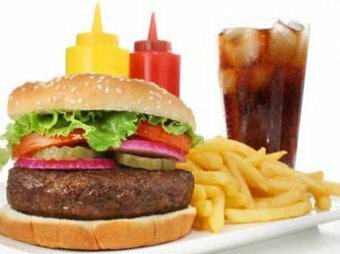 I raised the topic about the fast food because it seems to me that this problem is of vital importance as it is about your health. And the scale of the problem seems tremendous and needs to be highlighted. No one will take care of you and your family better then you! And first of all this responsibility is on mothers' shouldres. Mothers and wives are venerators of family values and tradition. They are those who set up, keep or break patterns of family life; those who should implant love of truth and sense of right and wrong in their children, those who should educate their families about the need to eat right and to live a healthy lifestyle. If they will be careless of these esssential responsibilities then advertisement will do its black deed and will guide their families into wrong direction. I was lucky to have a mother who taught me to take care of my health and not to trust advertisement. I am very grateful to her that she did not allow me to eat any of junk food which was so attractive and tempting and was able to explain to me what was right and what was wrong and refuse of everything unwholesome. Sometimes I have been offended when she did not give me something what I asked for. But how grateful I am now! If you got interested to this topic I recommend you to watch Robert Kenner’s documentary Food Inc. where they reveal many curious things about fast food industry.